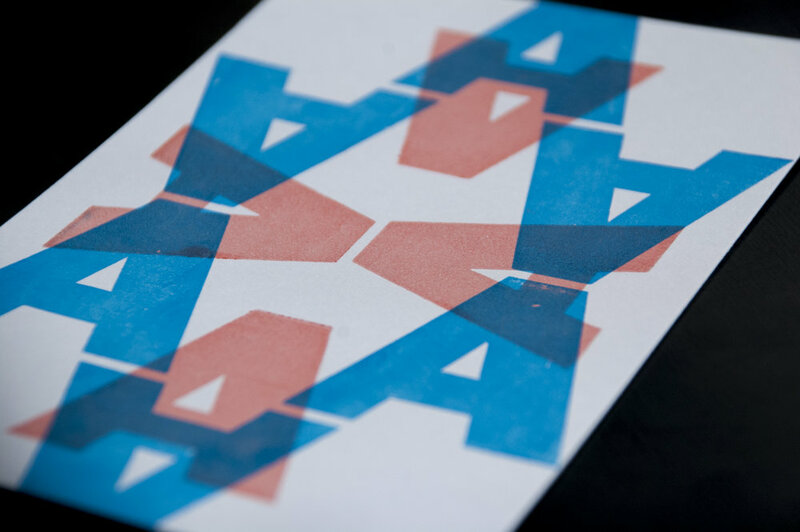 These colorful letterpress postcards are a fun experiment in understanding typography as geometric forms. The repetition of the “A”s utilize the form as only a shape and nothing more. The manipulation of the letterform through basic transformations, shows how typography can do more than provide simple meaning.